Happy Valentine's, dear readers. While Mike and I don't celebrate this holiday I thought that you guys deserved a little present and all I have to give is pretty things to look at, lol! 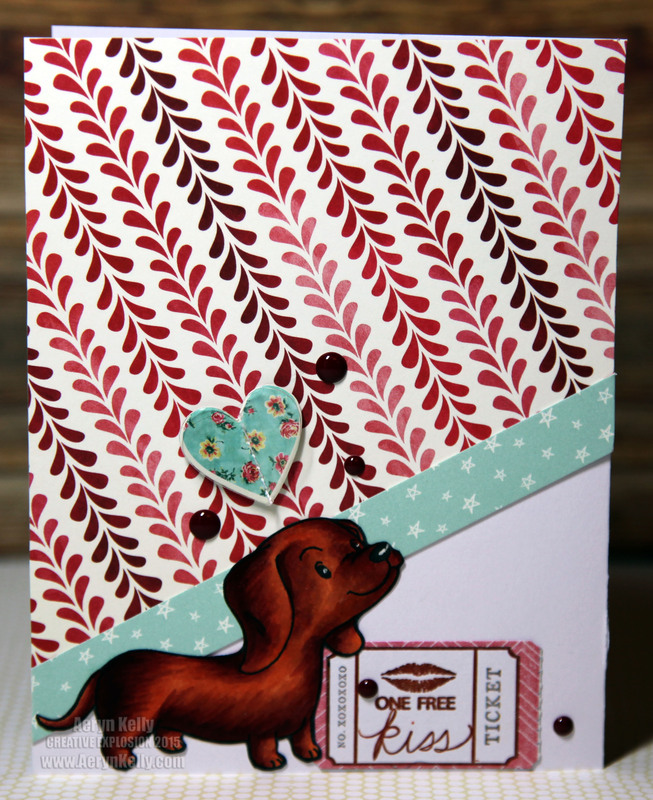 So here I have a process video for you and then just a regular picture of my card that I've made using the red dachshund from my last colouring video. I hope you enjoy it and that you have a wonderful holiday weekend! And here's a proper look at the final project. Very simple, but sometimes I enjoy those cards the most. Clear Stamp: Some Odd Girl "Preppy Pups"